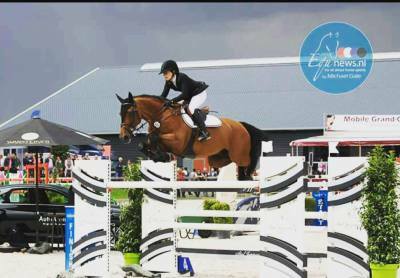 Lightning was born in 2003 and has been the horse which took Claudia from jumping small classes to competing internationally. Having 'grown up' together, Claudia and Lightning had the honour of representing the Netherlands at various YR nations cup's. In 2017 they jumped the Senior Dutch Championships together in Mierlo and they also competed as part of the Dutch senior nations cup team at the CSIO3* show in Uggerhalne, Denmark. Diamant was born in 2009 at the family house in England. Diamant has been very consistent in the age classes in his 5 , 6, and 7yr old years. 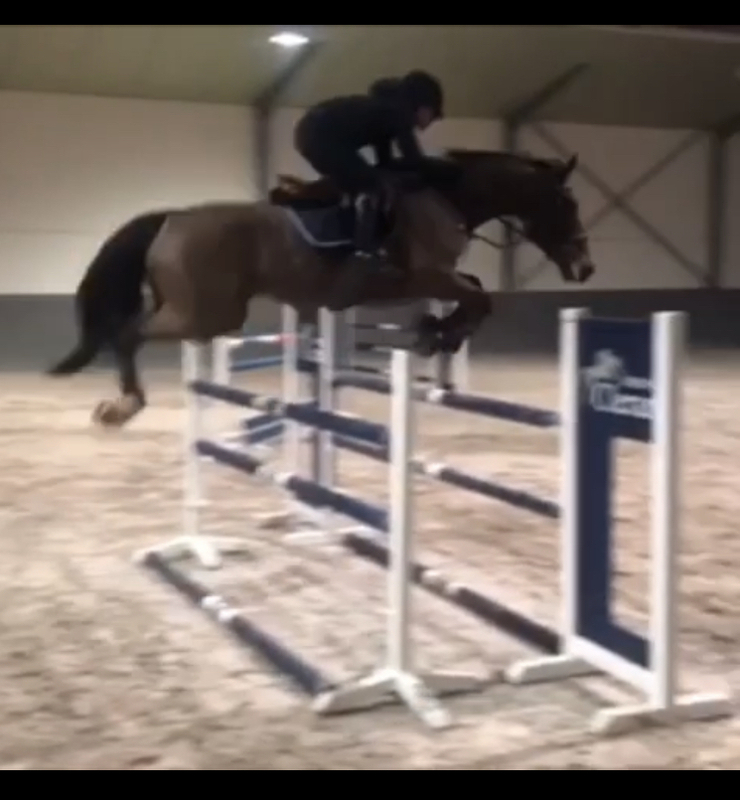 As a 7yr old he jumped in Lanaken at the YH World Championship and he has now as an 8yr old jumped his first 1m45 GP classes and LR classes succesfully! Norton is a new addition to the string. 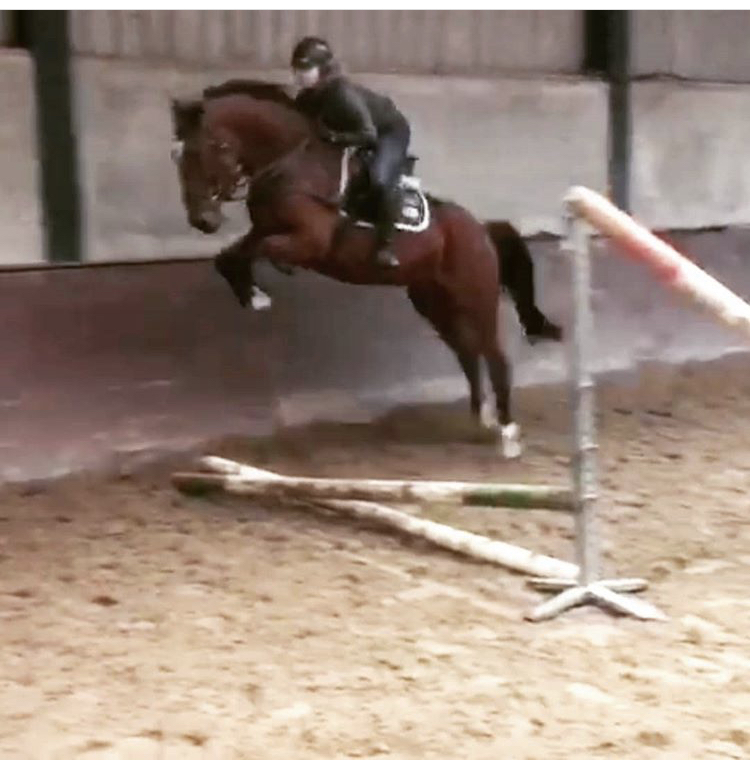 He was born in 2013 and has campaigned in the 5yr old national classes & Claudia is looking forward to getting to know and jumping him in the coming outdoor season. 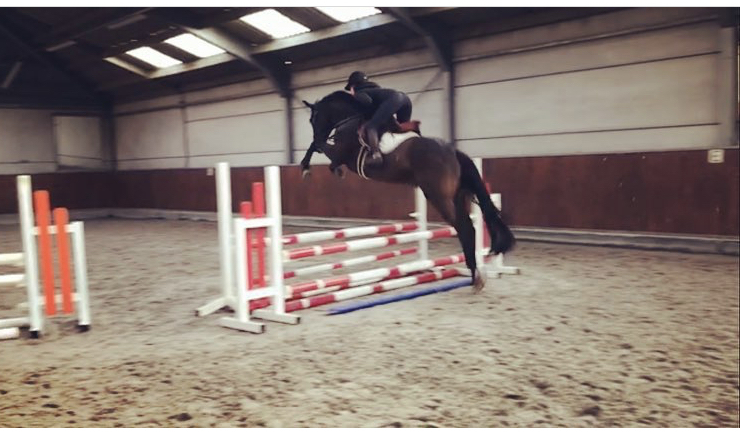 Rubertha is a very talented mare born in 2012. Despite a late start she competed in some age classes in 2017 and showed great quality. 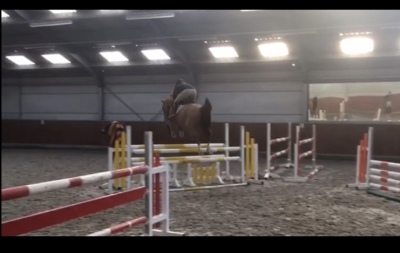 She made the step up to some 1m30 classes which she jumped in great style. Pacini is a new horse for Abbervail. 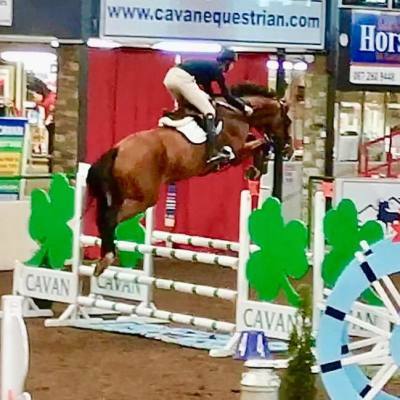 He was born in 2013 and has competed succesfully in the 5yr old age classes with Conan Wright in Ireland. Imagine is a talented gelding born in 2014. He is just starting his career but he is showing a lot of talent under the saddle. He is owned by Abbervail Equestrian and Eddy Vlemmix. 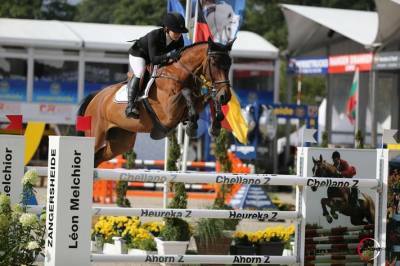 Demiana is a home bred out of Claudia's old YR horse, Veliana (Andiamo, level 1m50). Demiana was born in 2015, she is very sweet and shows a great attitude to work. 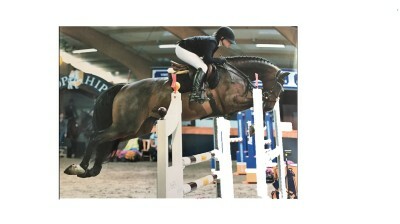 Inola is a mare born in 2013 and is owned by Stal Burg. Inola is a modern and athletic type and Claudia is looking forward to campaigning her this summer.